Not me, my fruit bushes. 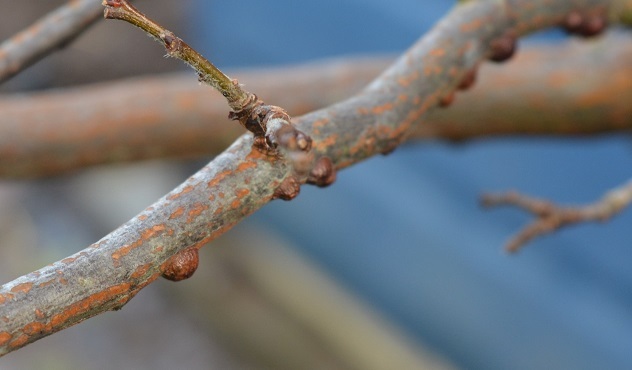 On closer inspection my redcurrants, apple and particularly quince are furred up. Their branches are infested with little brown cases, some worse than others, each of which has a little insect overwintering inside it. I’m reluctant to spray, and at this time of year it wouldn’t have any effect. So it’s out with the fingernails, flicking them into an ice-cream tub to take home. They can go play in the green waste wheelie bin at home and good luck to them! 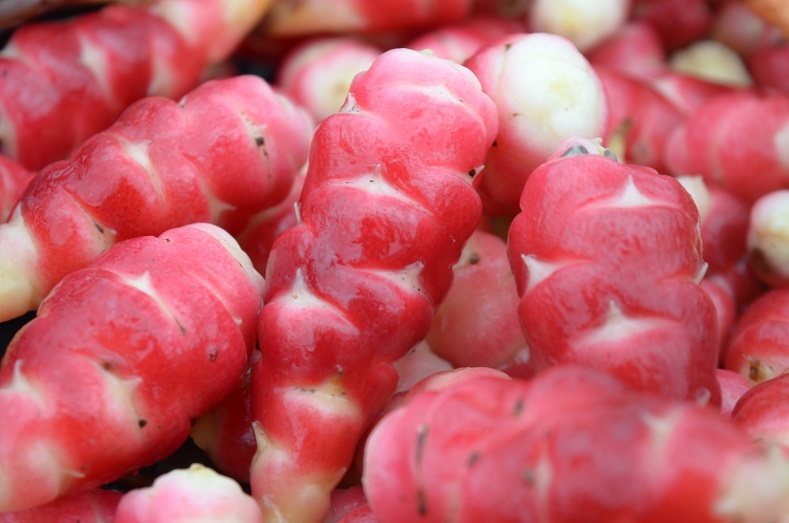 I’m still slowly rescuing oca tubers from the sludge – more because it’s easier to store them in the ground than at home. 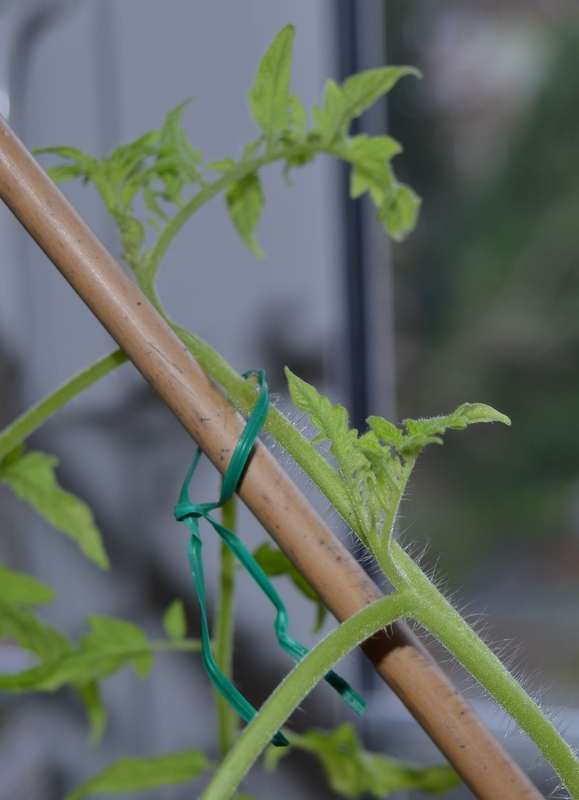 The next crop will be planted in tubs – getting them out of January’s mud is seriously unpleasant. The red and white ones are so pretty, they sparkle. I have no idea how to cost them for the harvest tally though – any ideas? I’m not convinced that planting large oca tubers results in larger tubers, though late planting out definitely works well. One plant was all large tubers, the others have had a healthy scattering of tiddlers. To be fair, I daftly planted them in a bed that is heavily shaded in autumn, which is when the tubers are forming. Perhaps it bears repeating in a sunnier spot this year. 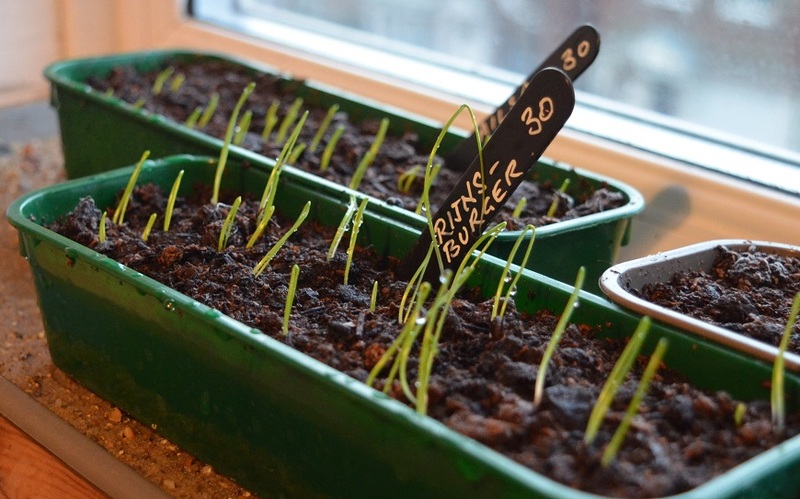 At home my first onion elbows and seedlings are poking up, ready for pricking out. Seeing the first bit of new life each year is just brilliant! It means spring is on its way and this dreary grey winter is coming to an end. It also means there is space in the propagator for monkey nuts (finally!) and the first chillies. There are LOTS of those this year. My one surviving Crimson Crush is displaying signs of recovery. Its remaining leaves (there was a small bleach spray incident, which also killed off all the other plants) are a healthy green. There are even the beginnings of new sideshoots. It’s a relief – I thought it was as much of a goner as my overwintering chillies, which are now brown and crispy. 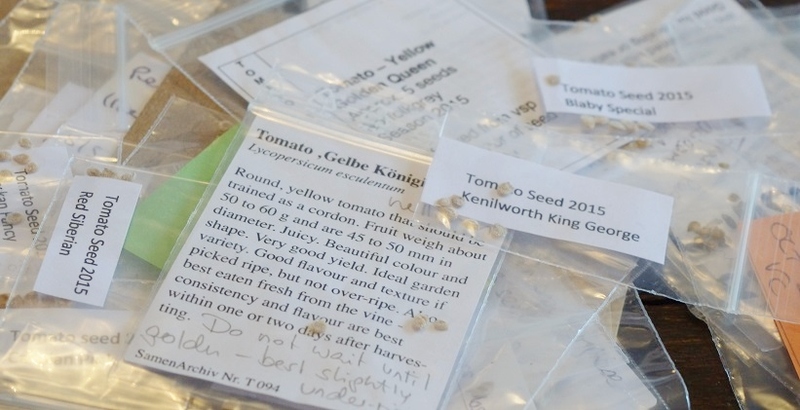 I’m delighted to see some of the Tomato seeds I donated to the Vine in your picture.